Today’s world is fiercely competitive – and only a few survive. Banks are no exception to this. And each bank tries to do what it can to get ahead of the pack – some think of increasing fees charged on products. Or they charge more interests on loans. Do they let go of a lot of people? Or shut down brick and mortar branches and move their activities online? Should they outsource their business to another country where it is cheaper to run it? The world, at the same time, has gone digital – opening up a huge arena of options for Banks to try out. A certain European bank, as part of its Basel II compliance effort built a technology platform to track, measure and manage its credit risk exposure and develop better insight into managing credit risk limits for its customers. Through this, the bank would achieve a reduction in the amount of risk capital on its balance sheet (thereby decreasing its cost of capital) and would be able to price its customers far more effectively. Automating some processes in the back office of a bank will also certainly help to some extent. For instance, it might be a great idea to use image and workflow technology to automate manual, paper-based processes and minimize process duplication. 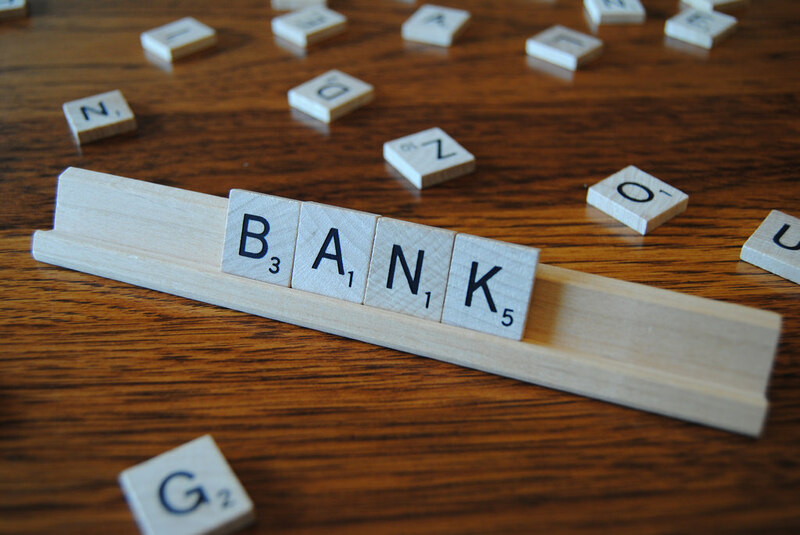 Process automation is a great benefit that technology can bring to the table for banks. Technology has the capability to totally replace some manual processes. There are ways to reduce paperwork and automate processes. By implementing cloud computing, for example, you could store information cheaper, do your accounts in a cost effective way, and even run a content management system online. You could use the internet to communicate with your staff, suppliers and customers. And flexi-time for employees with options to work out of home, works great. So it might be a good idea to analyse your processes from end to end and see how some digitization can have a dramatic impact. In India, ICICI bank does at least 30% of its transactions through the internet, reducing the costs of such operations to a tenth! Only 10% of their transactions are done in their branches and a whopping 50% of it happens through their ATMs. HDFC Bank does 40% of its transactions through the Internet. They say that they save 95% of the cost when a customer transacts through Internet banking. They offer as many as 135 different transactions through the Internet – ICICI even has a Facebook App that lets customers transfer funds online! Citibank, which is US-based, has a large online presence and just 43 branches in India. “It costs around 30 times more to do a similar transaction in the branch when compared with online,” a Citibank spokesman said via email to a local newspaper. ATMs are a great way to save money and cut costs. The cost of ATM transactions is far lower than transactions through bank tellers. Moving traditional bank operations to ATMs can lower costs significantly. There are several advantages for customers – they are open all the time and are very convenient. Some ATMs even have text-to-speech assistance and customer personalization. There are ATMs in Japan with 19-inch screens, biometric identification and the ability to print new debit and credit cards! Bank of America has Teller Assist machines which offer services such as check cashing, exact change (down to the cent), split deposits and loan and/or credit card payments. If the customer opts to speak to a live teller (located in Delaware or Florida), he has access to more services, with such machines offering as much as 80 percent of the typical branch features. Cost-wise, it costs a bank about $1.25 to conduct an ATM transaction as opposed to $4.25 at the branch. While advanced ATMs might cost more, it is still cheaper than banking with a person. Bank of America has also converted some of its branches in Washington, D.C. and Los Angeles into specialized branches where clients can get advice on mortgages through video conferencing. Citibank has ‘Smart Banking’ branches where there are spaces equipped with innovative technology like media walls, interactive kiosks and work benches which would let clients navigate on their own and get information on a wide range of products and solutions, and also transact! Digital technology need not always replace human presence. Digital can be complementary. Simply by introducing elements of their online channels into their physical stores retailers are able to give customers the best of both worlds leading to high online-offline coordination. The American Bank BBVA Compass has something called a “Virtual Banker” – this is a collaboration tool that allows video conferencing between customers in a branch and advisors who are remote. This tool offers document sharing, scanning and printing – so signed documents can be sent and retrieved! The future is certainly digital – banks could have self-service branches which offer products and services that are already available via online channels – like account opening and loan applications, for example. This just needs minimal staffing with limited advisory services coupled with digital tools – all this adding up to reduced operating costs compared to full-service branches. Or you could have kiosks that let the customer help himself. Or go entirely digital and offer videoconferencing, online document sharing, digital signatures and card readers! But the hugest benefit that the digital age brings to banks is the ability to be able to understand their target customer profile, their banking behaviour and profitability. This is a breeze for banks as they have a tremendous amount of data about their customers. They just need to use all that information. Analytics is being used currently in some banks – but not optimally in all areas. That could well be the way to anticipate the needs of the customer and to catch any churn before it happens. Technology can revolutionize the way the bank interacts with the customer – simply based on all the customer-data that they have and can act on. Customers use several touchpoints – it could be a branch, it could be an ATM, it could be the Bank’s web page or it could be through an App on the customer’s mobile phone. But what the customer wants, across all these channels is uniformity and the same messaging. So a 360 degree view of the customer, along with information about all his interactions with the bank through the many channels could be made available at all touchpoints – so regardless of which channel he shifts to, he can just pick up where he leaves off. This gives the Bank the immense ability to target the right offers to him at the right time. The Bank will also know when to up-sell or cross-sell any additional products. Data and analytics help Banks provide a more targeted and individual level of service to their customers. For example, when HDFC Bank invested in getting a holistic view of its customers through technology, it showed immediately in the improved service quality – which in turn, reflected in increases in both acquisition and retention rates. In another instance, American Express integrated its loyalty scheme with social media to engage its customers. This saw a significant increase in their customer base. Predictive analytics tools can facilitate the banks’ understanding of the behaviour of their customers and help them meet all their unique needs with tailored products and services, improving customer retention as a result. If a bank knew that their customer might move to the competition, they could focus all their efforts on retaining that customer. With the market being saturated, most banks realise that chances for any organic growth in banking are not that great. Therefore customer-retention efforts are more important than ever. Predictive analytics could well be the answer – through this, you can understand customers, the market and the industry as well. This will help shape the marketing strategies that will be unique to each location.